Sign and banner materials from a wide selection of brands. 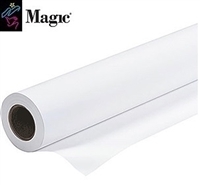 Banner and Display Media for Wide-Format Inkjet Printers - All of our banner materials are designed for specific display applications. IT Supplies has a wide variety of choices from removable wall fabric to traditional vinyl material and adhesive backed materials. PHOTO-TEX Sample Pack 10 Sheets of 8.5"x11"